Shawn Andrew Mitchell’s stories, essays, reviews, and interviews have been published in Poets & Writers, Fairy Tale Review, The Rumpus, The Montreal Review, Glimmer Train’s Writers Ask, and elsewhere, as well as in the anthologies Hair Lit Volume One and Torpedo’s Greatest Hits. He’s also the editor of the anthology Mine is Clouds: 16 Writers on the Life and Legacy of Richard Brautigan. He received his MFA from Southern Illinois University Carbondale. 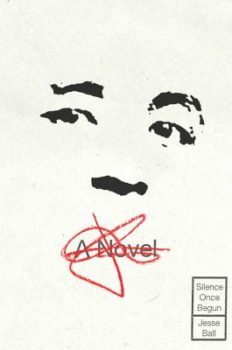 From the Archives: “I can only write if I have stolen something valuable that day”: Shawn Andrew Mitchell asks Jesse Ball about lies, dreams, and his novel Silence Once Begun. From the Archives: The title of Jim Shepard’s 2011 collection, You Think That’s Bad, could also be a creative mantra. Here the veteran writer discusses his research process, the apocalyptic state of the world, the (possible) irrelevancy of literature to the apocalypse, his epic mustache—and other matters of importance. Percy has turned himself into a cross-medium, cross-genre success whose unabashed embrace of work outside the narrow confines of literary fiction is opening up new opportunities and allowing him to have a hell of a good time. “I can only write if I have stolen something valuable that day”: Shawn Andrew Mitchell asks Jesse Ball about lies, dreams, and his latest novel, Silence Once Begun. Benjamin Percy’s fourth book and second novel, Red Moon, takes everything enjoyable about Percy’s fiction and cranks up the dials. It’s a rollicking, tightly plotted, hirsute good read that takes the classic werewolf trope and drops it into a modern Homeland-esque political landscape. Shawn Andrew Mitchell beams in from the future of a quiet Sunday morning in South Korea to chat with Charles Yu on a quiet Saturday evening in Los Angeles. In Part I of their conversation the two writers discuss the Sapir-Whorf hypothesis, consensual grammar, favorite gadgets, and more. Peter Stamm’s collected stories in translation contain brutal—and beautiful—truths. It’s all about choices in Kevin Moffett’s new collection—Further Interpretations of Real-Life Events—bizarre, unsettling, gut-wrenching choices.